This is Dave's new island butcher block. What a striking addition to his new home. 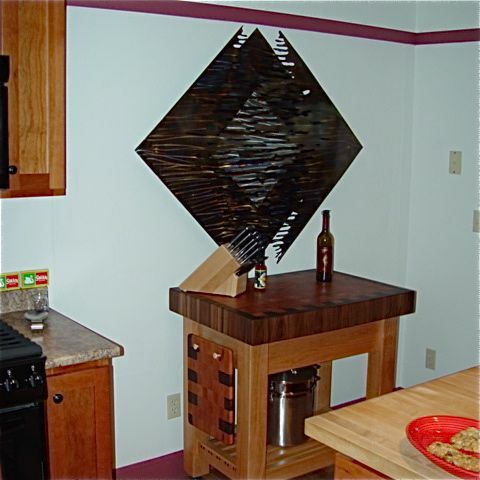 Along with the butcher block is a metal sculpture he purchased at A Class Act in La Conner.